'Future Beauty' explores the tremendous innovation of Japanese fashion designers since the early 1980s through over 100 garments ranging from the classic and elegant to outrageous. Japanese fashion made an enormous impact on world fashion in the late 20th century, with designers Issey Miyake, Rei Kawakubo of Comme des Garçons and Yohji Yamamoto revolutionising the way we think of fashion. Their works feature alongside examples by techno-couturier Junya Watanabe, the pioneer of the 'Ura-Harajuku' movement Jun Takahashi, and a new generation of radical designers including Tao Kurihara, Hiroaki Ohya, Matohu, Akira Naka, Hatra and mintdesigns. Curated by eminent Japanese fashion historian Akiko Fukai, Director of the esteemed Kyoto Costume Institute in Japan, this exhibition explores the unique sensibility of Japanese design, and its sense of beauty embodied in clothing. 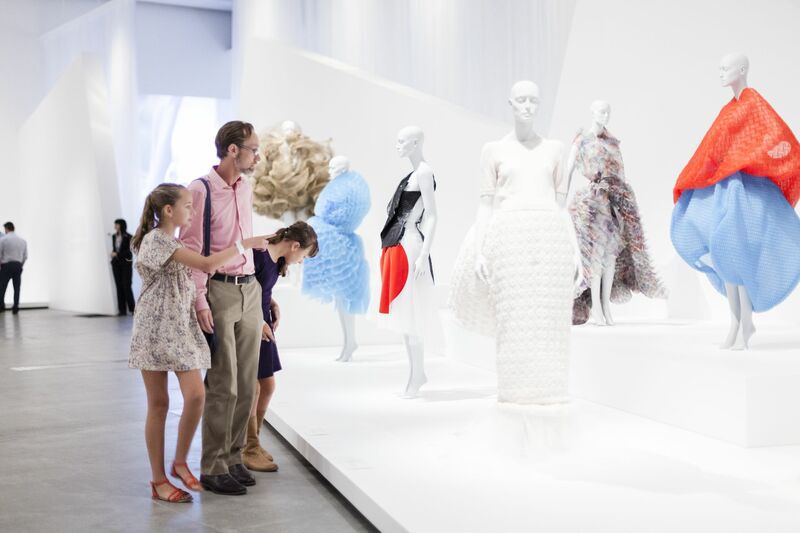 Exhibition originally conceived by the Barbican Art Gallery, London and the Kyoto Costume Institute, established by Wacoal Corp. Organised by Kyoto Costume Institute in collaboration with the Queensland Art Gallery | Gallery of Modern Art.